A 3D view of an assembly can be added to a main part drawing in order to create a better image of the element that is detailed. This isometric view also gives the drawing a more dynamic look. To add this view in a drawing style, perform the following steps described in the example. 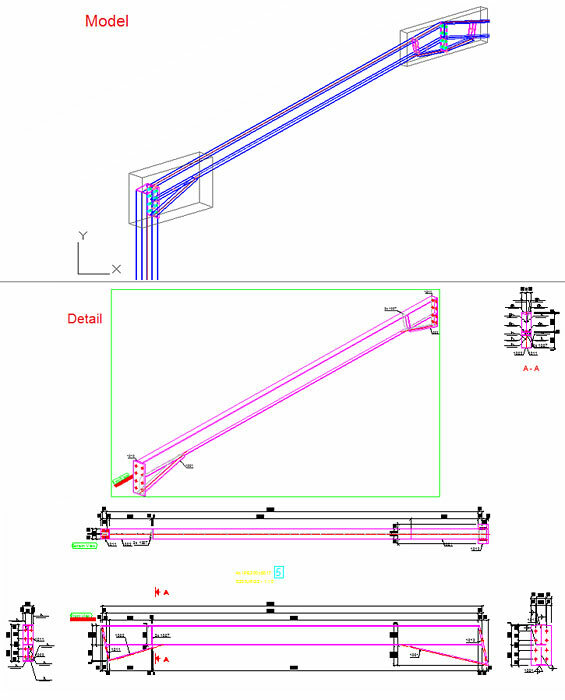 In the following example we will modify the "Tie beam - AutoIntersections" drawing style to display the isometric view. Afterwards we will create the detail drawing of a rafter beam in order to display the change. 1. 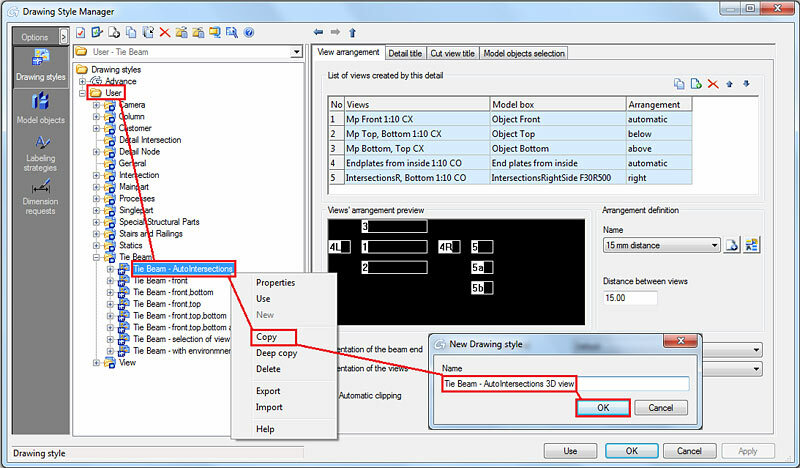 Open "Drawing Style Manager" (DSM) and from the "User" category copy the drawing style, mentioned above, with the name "Tie beam - AutoIntersections 3D view". 2. Create a new view with the name "3D assembly view". 3. 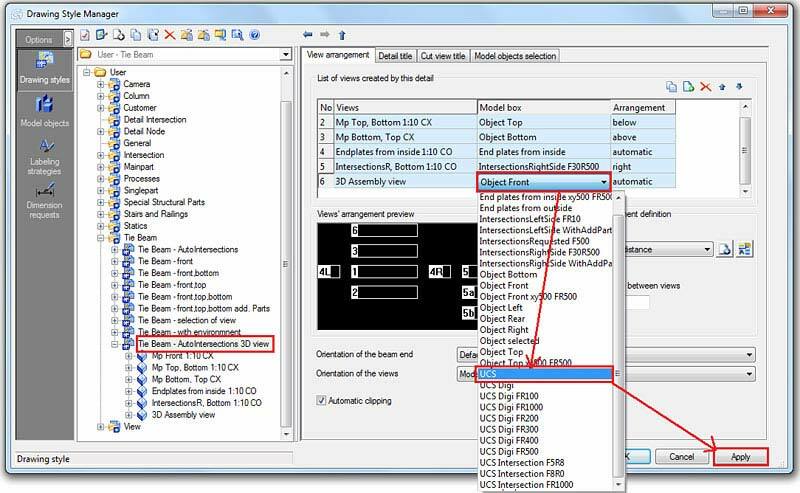 For the newly created view change the view direction and model box name to "UCS". Click the "Apply" button to save the modifications. Close DSM. 4. Rotate the model in the position you want to see the rafter beam and change the UCS to "View". The isometric view is UCS dependent and is created from the positive Z direction. 5. Open DSM and select the drawing style you have just modified and click "Use". Select the rafter that you want to detail. The model must be numbered prior to the creation of the drawing.